Governor Nyesom Wike of Rivers State has been enthroned as Daar Governor of the Year 2018 for his quality projects and commitment to good governance. Wike was recognised during the Third Annual Daar Awards held at International Conference Centre, Abuja. He was represented at the award ceremonies by former Rivers State Governor, Sir Celestine Omehia. The Rivers State delegation to the award also included former Deputy Speaker of the House of Representatives, Mr Austin Opara; Rivers State PDP Campaign Council Chairman, Chief Ferdinand Alabraba; Senator Lee Maeba and state Commissioner of Education, Tamunosisi Gogo-Jaja. Yesterday at the Government House, Port Harcourt, former Rivers State Governor, Sir Omehia handed over the award to the governor at a brief ceremony. 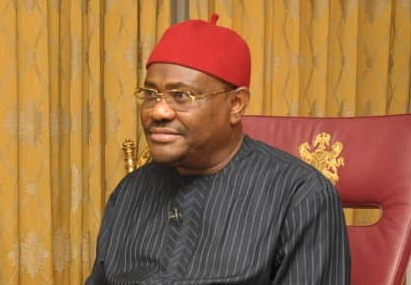 Omehia said the award by Daar Communication Plc, the owners of African Independent Television and Raypower FM, was a confirmation of the several awards of recognition to Governor Wike by national and international organisations. He said that Rivers people were happy with Wike for using their mandate to project the state positively through projects and pro-people programmes. “The award showed that you are the eagle of all the governors. Recognising the fact that you have several awards, this particular award has confirmed what the world already knows. It is important to state that Rivers People are solidly behind Governor Wike,” he said. Responding, Governor Wike said Daar Governor of the Year 2018 will spur him to sustain the massive development of the state.